The Internet has made a lot of things easy and fast, including the sharing of information and ideas. Just try going online now and you will see a multitude of content being passed around. While they seem all innocent and harmless, some of those shares already constitute the crime of copyright infringement. All content–videos, articles, songs, images, or even quotes–are owned by the people who created them. In other words, the creators have copyright over what they create. When others want to use these materials, they must get permission from the owners. Permission, of course, can be given for free or with a fee, all depending on the copyright owner’s decision. Unfortunately, many people online do not realize the importance of getting the owner’s permission. This article presents the common misconceptions about getting permissions and copyright infringement. Just a quick scan on social media will reveal this very common practice of adding the “No copyright infringement intended” tag when using someone else’s content. Those who do this probably believe that this is enough to get them off the hook. While this does not get much legal attention, this practice should not be acceptable. Doing this suggests that the secondary users are aware that someone else holds the copyright over the content of interest, but they do not give the copyright owner due respect. If you are interested in sharing another person’s copyrighted content, you should really do what’s right and ask the owner to grant you explicit permission to use the material. This statement would hold true if it were made, let’s say, fifty years ago. Legislation back then required registrations for copyright laws to take effect. However, newer rules have been put in place since then, and copyright already exists the moment the creator puts their content on a data storage medium. Hence, a budding writer’s poem is already copyrighted the moment they click the Save button on their word processor. But there are important things to take note of here. Just because they already have the automatic copyright over the content doesn’t mean that the copyright owners can sue someone for damages. Copyright infringement cases of such nature require that the subject content be duly registered for them to prosper. 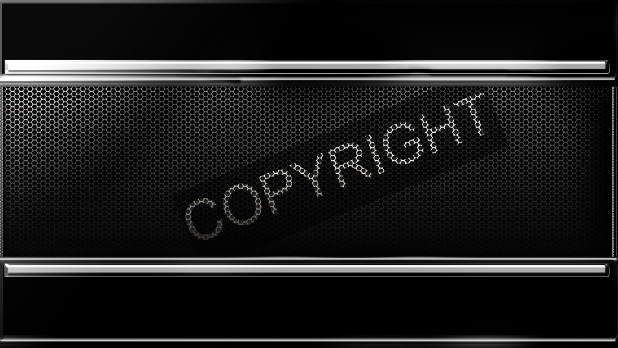 What the copyright owner can do, however, is to ask for compensation from those who want to use their content. They can also ask people who use their content to take it down, and the user will have to obey. Many people say that using others’ material is acceptable as long as the users do not gain financially from it. This could never be more wrong. The purpose of the copyright is for the holder to have the final say as to how their content is going to be used. If other people use it without the copyright owner’s knowledge, and in ways not at all intended by the creator, then they are clearly infringing on the creator’s copyright. If that content is duly registered, then the copyright owner can take them all to court. Copyright infringement is a serious matter that all consumers of information must have a thorough understanding of. The law does not excuse anyone who infringes on someone else’s copyright unknowingly.